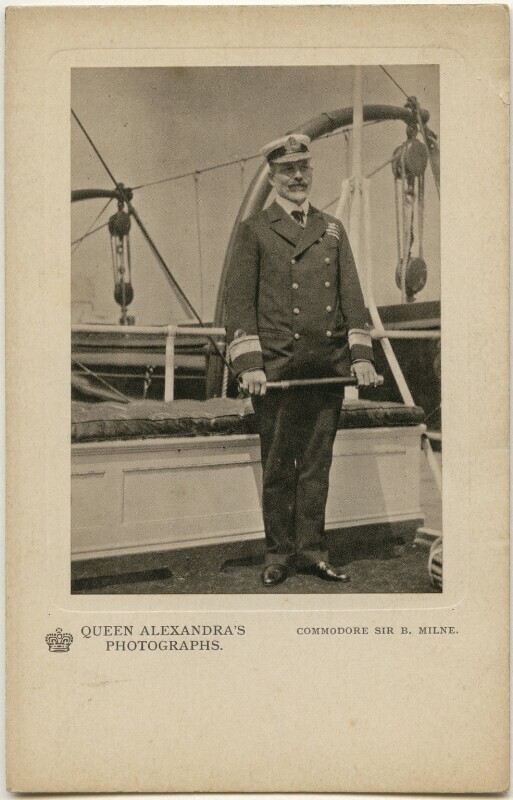 Sir (Archibald) Berkeley Milne, 2nd Bt (1855-1938), Admiral. Sitter in 7 portraits. Queen Alexandra (1844-1925), Queen of Edward VII. Artist associated with 10 portraits, Sitter associated with 476 portraits. A.V.N. Jones & Co. Artist associated with 8 portraits.